July is National Park and Recreation Month. 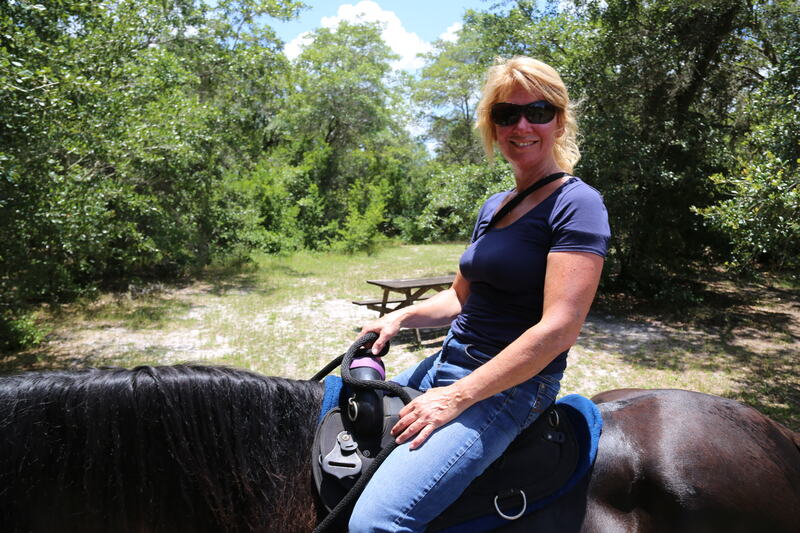 We took another road trip to one of the Bay Area’s many beautiful parks. 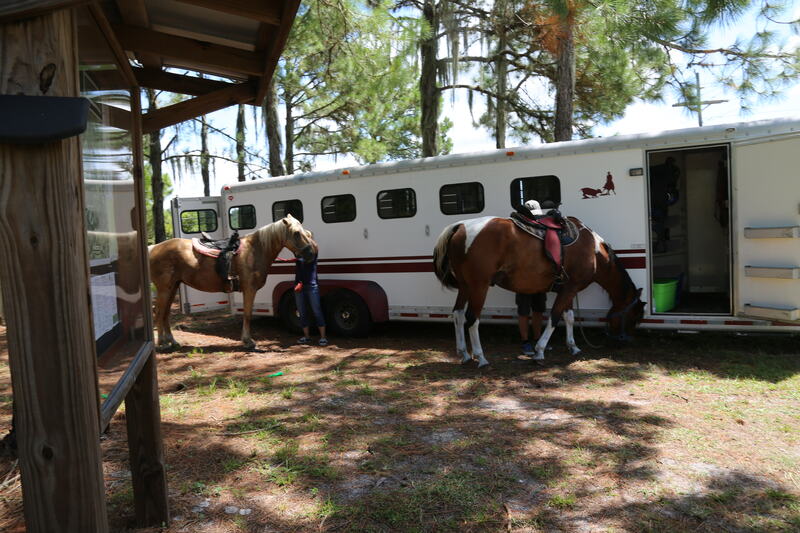 As we were tacking up the horses, we decided to leave the bridles in the trailer…and go bit-less. 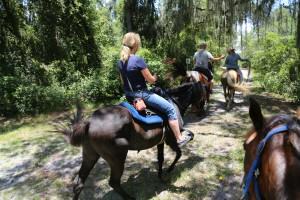 We clipped their reins to their halters, and away we went! 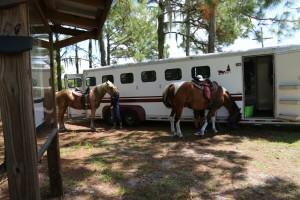 ‘Pache, our Clydesdale Paint, and Clyde and Valentino, our Paso Finos, liked it. 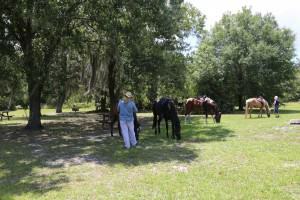 When we took a break, they got to graze…. 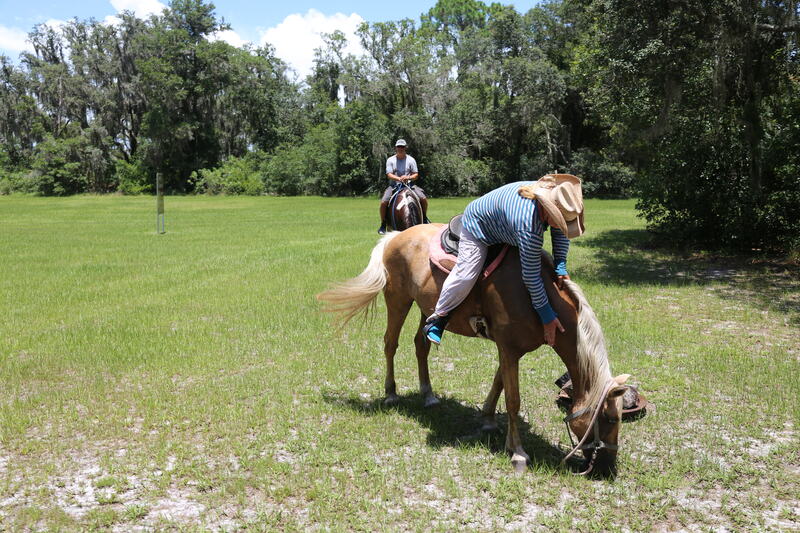 Brittany even went rein-less, on Palomino mare Diamond, for a little bit! 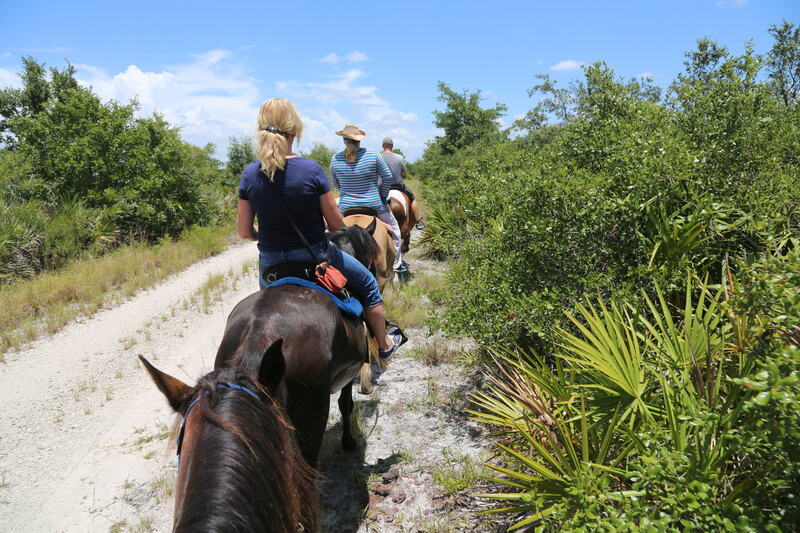 To me, the nicest way to see Florida is still from the back of a horse. 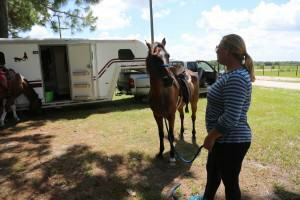 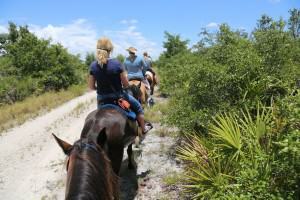 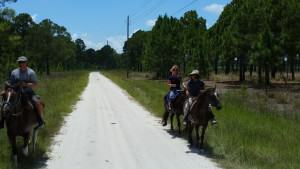 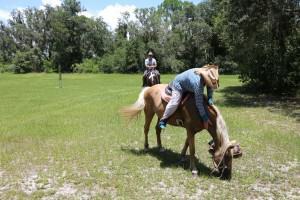 This entry was posted in Uncategorized and tagged Adventure Ride, Bradenton Horseback Riding, Central Florida, child safe, Draft Horse, Florida Barn, Florida horseback riding, Florida Trail Riding, Horse Rental, horseback riding outfit Bradenton, Paint Horse, Palomino horse, paso fino, stables tampa bay.